Guess what I did last weekend? I escaped the summer heat and a crime scene! Yep, you read that right, except that the latter is a mock crime scene in a challenging game! I love playing games that could make my brain twitch with ideas. I have a horribly low EQ though. I can easily get frustrated over some silly game and I'm bad with stress. It makes me sick, literally! Hence, I had second thoughts when I first heard about HintHunt. But then, one day, I received an invitation to try out the escape game with three to five friends. FRIENDS! That's when I knew that HintHunt is a fun game not to be played solo, but as a team. Yay! So, I gathered all my courage, buzzed some friends, and showed up at the super cute HintHunt game center in Dubai. 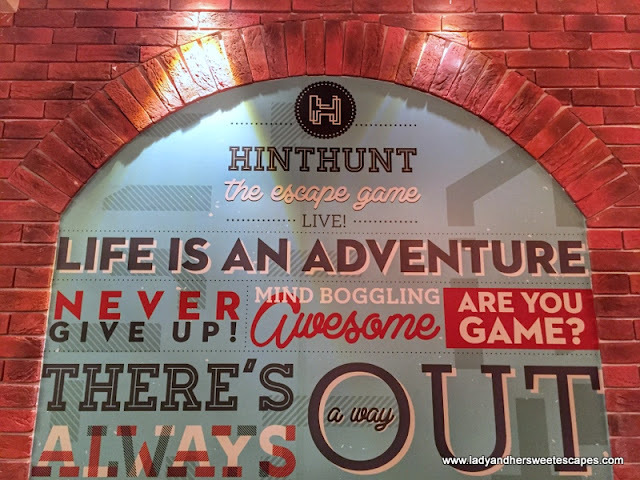 There are HintHunt game centers in Paris, London, Cape Town and Moscow, by the way! My "squad" arrived at HintHunt 30 minutes before our scheduled game. It was just enough for us to prepare. We were given a locker for our bags and received an orientation. The staff reminded us to head to the wash room before the game starts. Apparently, there's no bathroom break in the next 60 minutes! Shakin off the pre-game jitters! The rule of the game is pretty simple: Get out of the room in 1 hour! But, what happens within is kind of complicated. We were locked in a game room known as the "JM Office". There, we had to search for clues in order to break a series of locks and solve a crime! I felt the adrenaline rush through my veins as we tackle one puzzle after the other! My brain twitched with ideas; some worked, some didn't. No frustrations though; I had three people to help me! The challenges were mind-boggling! We started out nice and slow, but later on, we had to wear our furious game faces and act fast. Craaazzzzy! To maintain the mystery, photography is not allowed inside the game rooms. Fast forward to 3 minutes before the game ends, I nervously looked on to the husband who was writing numbers on the board, Joy who was reading some information and Myra who was ready to open our very last lock. The next thing I knew, the door opened and we have completed the challenge with 2 minutes to spare! Woohoo! I escaped HintHunt Dubai's JM Office right on time, yet a part of me wanted to play more! Arrrghhh! The game is so addictive that I had to download an escape game in my phone afterwards. But this virtual game that I'm playing now isn't as fulfilling, so I look forward to going back to HintHunt for another challenge. 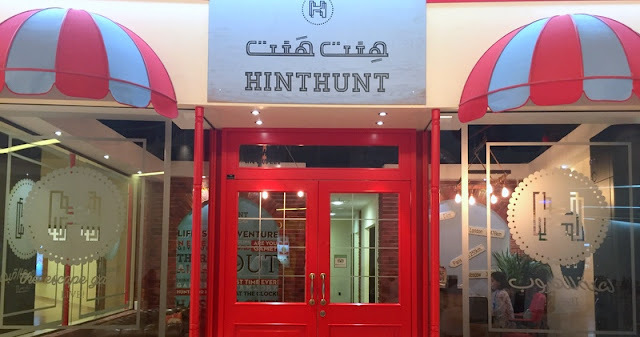 We were invited to HintHunt Dubai. Opinions in this blog post are my own.